Gig Harbor High School Visual Arts department provides students with the opportunity to communicate their ideas and feelings visually. Art classes give students the opportunity to learn craftsmanship, creativity, and history through hands-on projects and guest artists. The art department welcomes students of all artistic capabilities. Students new to art will build artistic techniques while experienced students will enhance their skills. Student art is frequently displayed in the main office and in the commons display case. Please take a moment to see and enjoy the art created by students. The classes in the Performing Arts fulfill the Washington State full year Arts requirement. This credit cannot be waived or substituted. 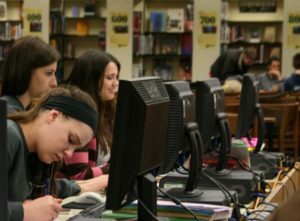 Students in the Theater Tech classes may also earn CTE credit. 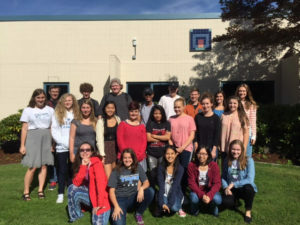 The Performing Arts Department at Gig Harbor High School allows students to grow with new challenges as their skills increase. The bands and choirs allow growth and challenges through non-auditioned and audition-only groups. There are multiple grade concert bands and choirs as well as Jazz Ensemble (jazz band) and Vocal Motion (jazz choir). There are also many opportunities to participate in small ensembles and as soloists. The Performing Arts Department have earned a reputation for excellence and quality productions. The bands and choirs have been recognized on regional, state and national levels and continue to perform at exceptional levels. Each year the Performing Arts Department collaborates to produce a fully staged musical. The musicals are well received, well attended and are recognized for excellence in regional competitions. In addition, the Creating Music class allows students to pursue their passion at a deeper level. Creating Music allows students who may not be a band, orchestra, or choir members to have the opportunity explore and create outside of classical formats.